A new one-year Master of Management degree will be offered starting this fall at UBC Okanagan. Modeled on the very successful Early Career Master's (ECM) program offered by the Robert H. Lee Graduate School at the Sauder School of Business at UBC in Vancouver, the new Master of Management program is tailored to the needs of graduating and recently graduated students with bachelor's degrees in non-business disciplines such as arts, sciences, and engineering. It is the first program developed under a new alliance between UBC Okanagan's Faculty of Management and the Sauder School of Business. 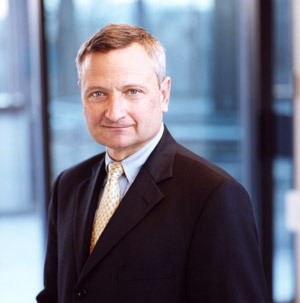 "Our new Master of Management closely reflects the ground-breaking Early Career Master's, which represented the first management program of this kind in Canada," says Daniel Muzyka, Acting Dean of the Faculty of Management and Dean of the Sauder School of Business. "The program provides students with valuable foundational business skills that are beneficial to a career in any industry or sector." The Sauder School of Business' ECM program was filled to capacity when it launched in 2008 with a first cohort of 54 students, and a second cohort of 55 students in September 2009. "Within four months of completing the program at the Sauder School of Business, approximately 75 per cent of the inaugural class were employed or had decided to return to school to pursue further studies -- including PhD programs, medical school, law school, and dentistry school," says Christopher Gorman, Director of Program Initiatives with the Faculty of Management. "Today, approximately 90 per cent of graduates are working here in B.C., Toronto, New York, Hong Kong, Shanghai, Tokyo, and Europe, or have decided to return to school." Gorman notes that both the Sauder School of Business' Early Career Masters and the Master of Management degree at UBC Okanagan prepare graduates for entry-level management positions. Alumni of the ECM program are receiving an average salary of approximately $50,000, working in a wide variety of sectors and industries. The Master of Management program is considered a "pre-experience" graduate business degree since work experience is not required for admission to the program. Admissions will be based on academic achievement as well as the leadership potential, maturity, and professional aspirations of each applicant, which will be evaluated through his or her activities and achievements outside of the classroom, such as any work, volunteer, international, and extra-curricular experience. To learn more about the Master of Management degree program, contact the Faculty of Management at 250-807-9644 or mm.ubco@ubc.ca. The Master of Management program website is www.ubc.ca/okanagan/mm.